Will L.A. Become a Disneyland-esque Mass Transit Utopia? Home Transportation Will L.A. 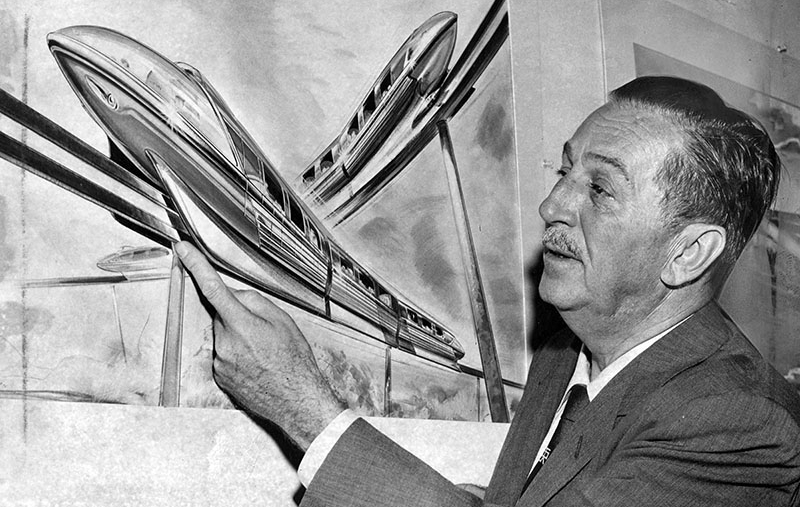 Become a Disneyland-esque Mass Transit Utopia? Of course, none of this really came to fruition. Small-scale versions of his visions were implemented at his theme parks, and though Epcot Center was built after his death, it was a far cry from his vision of the perfect city. To a certain degree, however, it seems that L.A. is on the brink of implementing some extraordinarily Disneyland-esque approaches to solving our mass-transit woes. It’s a journey that started way back with the freeways (seriously, Disneyland did it first), and extends into L.A.’s increasingly multimodalist future. 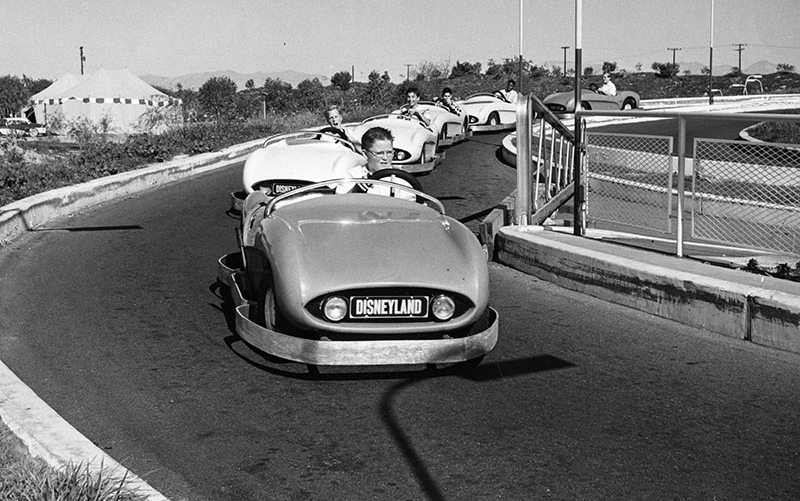 We have to start here because the concept of freeways was still futuristic when Disneyland’s Autopia opened in 1955. Sure, today a ride where gas-guzzling cars sputter along at an agonizing crawl may seems both archaic and achingly reminiscent of your daily commute, but, hey, Disney did it back when it still seemed innovative. Disney’s plan for an all-electric mass transit network relied primarily on the PeopleMover, a series of linked passenger cars that run in a continuous, conjoined loop. 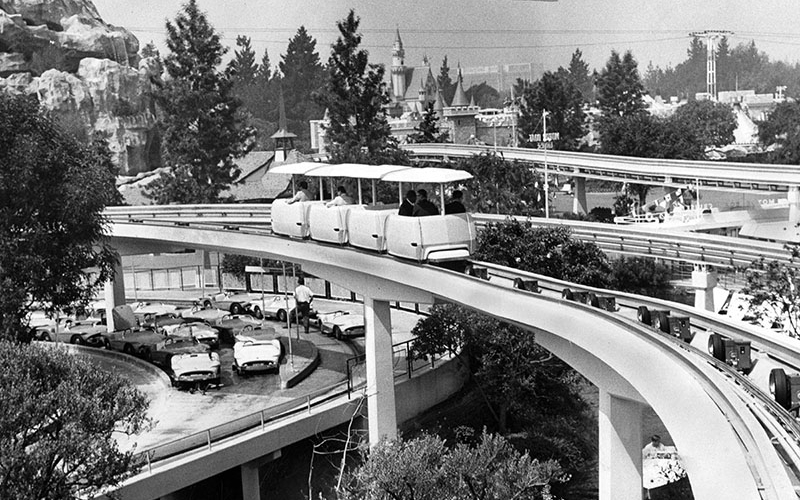 A version was built in 1967 in Disneyland, with cars a little over half the size of the proposed non-theme-park versions. During peak seasons, it carried nearly 40,000 passengers a day. Currently in L.A., a people mover is in the works at LAX. Driverless trains will run 24 hours a day, shuttling passengers between a Metro rail station and the airport terminals. The second mode of transport to be used by E.P.C.O.T. denizens was a high speed system of monorails. These would provide longer-distance travel, from city to city even. 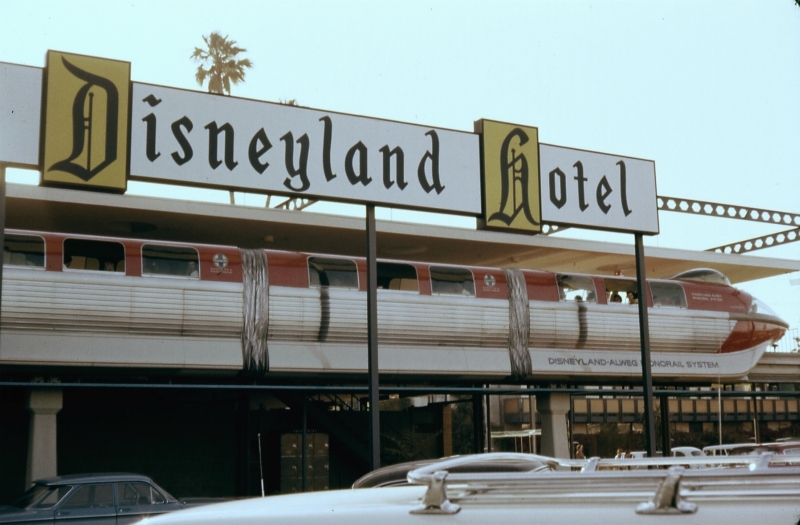 Though it wasn’t new concept, the monorail constructed at Disneyland was the first system of its kind that operated on a daily basis in the Western Hemisphere. Though it’s been bandied about at assorted points in L.A.’s history, a monorail system has never gotten off the ground. Even with legendary science fiction author Ray Bradbury campaigning to get one built in the early aughts, the city would have none of it. But now, there’s talk of making it happen. Mayor Eric Garcetti is seriously considering a monorail over the 405 as one of several possible solutions to the traffic nightmare that is the Sepulveda Pass. “With a small footprint, with electric motors, safety for both earthquakes and access, it could be on the table,” he said in an interview on KNX-AM. The Sepulveda Pass is one of the busiest traffic corridors in the nation. That’s why @MetroLosAngeles is exploring multiple options for a rapid transit alternative to the 405. According to the original vision for Disney’s city of the future, cars would rarely be used—they’d be more of a weekend day-trip luxury than a mode of daily transport. When drivers did decide to take a car out for a spin, they’d travel on underground freeways below the pedestrian level. Supply trucks would have their own network of tunnel highways at the bottom of the stack. And now, apparently, we can expect high-speed subterranean traffic tunnels in L.A., courtesy of maybe-supervillain Elon Musk’s the Boring Company. His proposed tunnel network would span from Sherman Oaks to Long Beach (and over to Dodger Stadium), demonstrating a faith in his own ambition that is truly Disney-ian in scale.